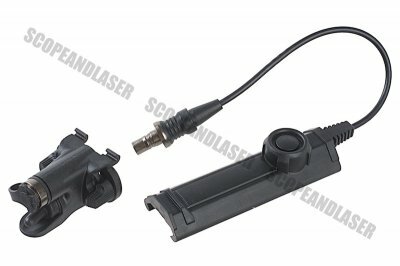 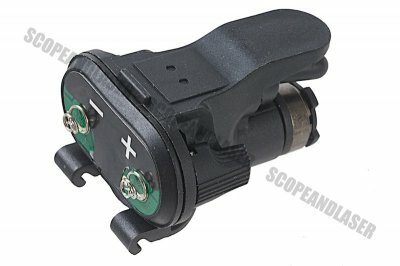 The Blackcat Airsoft Remote Dual Switch for X300 / X400 Series provides remote activation for any SureFire X300 / X400 Series with a switch socket. 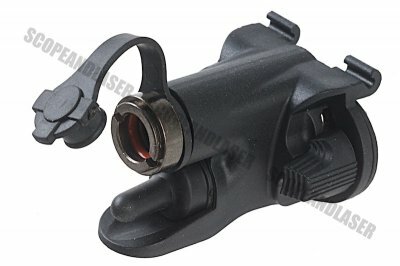 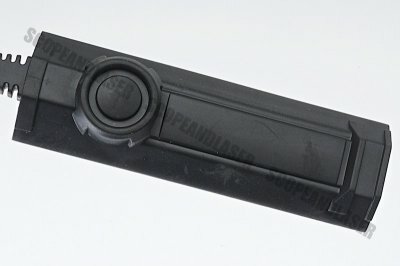 Two switches a momentary-on pressure pad switch and a constant-on push button switch are integrated with a snap-on clamp for easy attachment to your firearm's Picatinny rail forend. 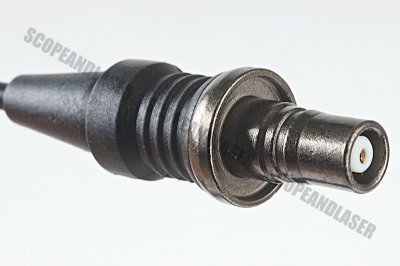 Cable length is at 130mm.